Well, it looks like the public has finally caught on to the fact that Sugar Smacks and Count Chocula’s miniature marshmallows aren’t actually good for kids, and that claims of a balanced breakfast refer more to the glass of orange juice and the milk in the bowl. Advocacy groups are now suing Kellogg and Nickelodeon in an attempt to get the lost teeth and waistlines of their children back. For anyone who has ever doubted that marketing and advertising actually work this could be an interesting case to follow. It is one thing to bring awareness of a product to the public – but how easily is the public actually swayed into performing behaviour they wouldn’t otherwise do? "Going out on a limb here, perhaps her (Carlson's) kids want these foods not because of ads, but because they're children," said Dan Mindus, spokesman for the Center for Consumer Freedom. The cereal and junk food promoted by the cartoon station Nickelodeon is considered to dreadfully low in nutrition and high in calories. Essentially the worst stuff you can put in your body, but pushed to children by characters such as Sponge Bob Squarepants. Advocacy groups such as Campaign for a Commercial-Free Childhood have had enough, and in less than a month, their quest to take ads for children off the air will begin. 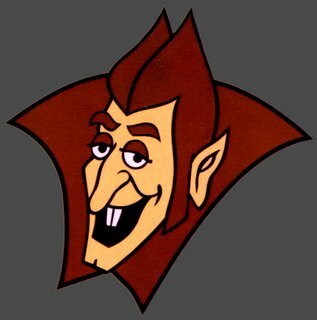 Stay tuned for when the Count Chocula video game comes out!